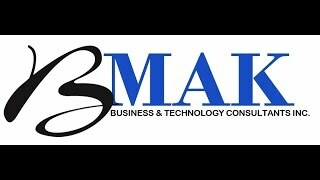 Harrison Talent Management Solutions - BMAK | Business and Technology Consultants Inc.
Can help you look at your Company Values, Executive Team Alignment, Executive Coaching, Leadership Development, Employee Engagement and Retention. Established in 25 countries, delivered in 30 languages, used by over 2.2 million users and has been developed over 20 years of research, Harrison Assessments is a comprehensive, end to end talent management system with an impressive track record for accuracy and cost effectiveness resulting in increased profitability. Based on enjoyment theory it focuses on ensuring that people are aligned to roles for which they are both eligible and suitable. Some people use the analogy of Pandora’s Box or a Trojan Horse when talking about HATS. The more you delve the more you find and you only pay for what you use – there is no license fee! A talent acquisition methodologywith 6,500 customisable job profiles to use as a starting point for recruitment. An interview guide for each specific candidate and reports on how to manage and attract. A full set of development reports for coaching and training individuals and teams. An engagement and retention measuring facility – excellent starting point for measuring engagement factors based on working preferences. Because the questionnaire uses ipsative not normative technology the results are accurate and reliable and can be used for organisations, groups and individuals. Values/DNA measurement – organisations often promote their values or DNA as it is sometimes referred to without any idea as to how to measure whether behaviours match them. Benchmarking – allows measurement of performance for people in the same roles simply and cost effectively and provides a job profile for future recruitment and development. Career Navigation – for companies and educational establishments. Compares input from the SmartQuestionnaire™ to hundreds of careers. Succession Planning – enables organisations to build job profiles of specific jobs within the organization and to invite people to apply for them whilst measuring their suitability and eligibility at the same time. Hundreds of companies worldwide use the system including Bristol Meyer Squibb, IBM, Toyota, MasterCard, Marks and Spencer, Panasonic, Oracle, Microsoft, Samsung, Canon, Epsom, Shell and Sony. The beauty of the system is in its flexibility – clients can take anything from one or two reports to the full talent management system. Clients only pay for what they use – there is no license fee! Why is Harrison Assessments so different from other talent management systems? Most behavioural assessments measure only 10-30 traits of which only 25% relate to job success. Harrison uses 175 job specific traits built on a body of research relating to job performance. Harrison assesses both eligibility and suitability for roles, retention and talent management. It is the only assessment method that includes personality, interests, work environment and task preferences. It includes a high tech SmartQuestionnaire™ equivalent to 2071 multiple choice questions i.e, a full day of testing, in only 30 minutes. Even when personality or psychometric assessments are used, it is generally left up to a recruiter to determine how the test results impact the overall evaluation. These results are not comprehensive and often the recruiter must guess at how the test results should affect the overall decision. A job analysis toolkit enables you to quickly and easily customize assessment criteria to accurately reflect your specific job requirements. Harrison Assessments will enable you to evaluate how each applicant compares to a complete set of suitability factors including attitudes, motivations, interpersonal skills, interests, work values, and work preferences. Most systems only measure personality. To a presentation where you will hear how Harrison Assessments could work for you and/or your organisation. Dates & Times: Will be provided after registration. Webinar: Via Webex (web conferencing) using your computer. A strategic approach to talent management? A clear strategy on how to develop your organisation?